If this is the first time you've come across our guitar roundups then you're in for a treat. We collate all the latest, relevant and most read/watched material from around the world for jazz, rock and classical. We do this once per month for one genre in rotation and this month it's the turn of classical guitar. It’s been a couple of months since we rounded up the breaking and making news and videos from the world of classical guitar. Here it is, a plethora of great material for you to find out all the latest and view the best in classical guitar. We changed the format last month with the jazz guitar roundup and as the response was good we are sticking with it. 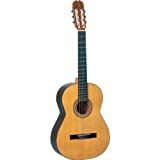 We start with videos from classical guitarists on Youtube and we will then move on to news then snippets. So, here is the classical guitar roundup April 2018, enjoy! Here is a range from popular music played in the style of classical guitar to the latest performances from the classical guitar literature. For those looking to play the Beatles in a classical guitar styles. Although this is a guitar for sale, the performance is well worth a listen. Rhode Island is awash in acoustic guitar performances for the weekend of April 6-8. The University of Rhode Island Guitar Festival kicks off its 3rd incarnation on Friday night at the Pump House Music Works in Peace Dale. And the Argentinian guitarist and … It’s A Guitar Weekend!